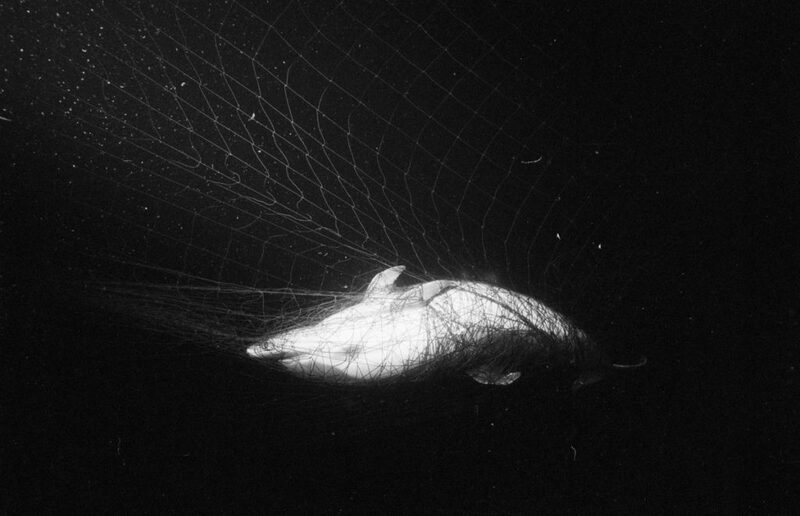 Thousands of dolphins, porpoises and whales die in fishing gear every year in UK seas. This is known as 'bycatch'. Most of the protection they have comes from the EU. But, after Brexit they might not even have that. What then? Even more could die. We need to keep them safe. Like us, whales and dolphins can’t breathe underwater. Trapped in a net, they will panic, just like you would. Many endure terrible wounds and broken bones as they try to escape. When they can’t struggle any more, they will close their blowhole and suffocate. Now is the time to stop this suffering. 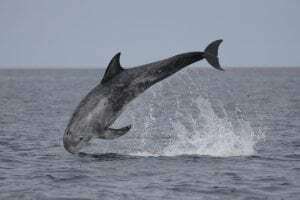 We need the governments of the UK to make sure effective laws are in place to protect dolphins, porpoises and whales in UK seas after Britain leaves the EU. Getting these laws in place is not going to be quick. We will need public support at each step of the way. Can we count on you? Keep up the pressure on the UK government to ensure that once we leave the EU, we have strong laws in place to protect the dolphins, porpoises and whales who live around our shores..
Work with technology experts and the fishing industry to find safer ways to fish. Make sure that fishing is properly monitored and deaths are reported. 75,000 of you signed our petition and we presented it to UK Fisheries Minister, George Eustice at the Houses of Parliament. He promised action to tackle dolphin, porpoise and whale deaths in fishing nets and gear. 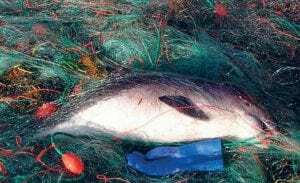 To stop dolphins, porpoises and whales dying a horrible death in fishing gear in our seas we’re going to need strong laws. We have been instrumental in working up legislation and need to ensure the government adopts it. Thousands of you emailed your MEPs to urge them to vote for better protection at EU level. What's decided in Europe will form the basis of our UK laws after Brexit. Thank you for your action! We got the UK government to commit to tackling bycatch. Now we are at the table helping to shape government action.